In Santa Ana, the Orange County Congregation Community Organization (a PICO California affiliate) and its partners in the Santa Ana Building Healthy Communities collaborative embraced the opportunity of the LCFF. We conducted trainings for parents and students and held meetings with district staff, school board members and the superintendent to learn more about the process. Understanding the connection between school climate and culture and students’ social-emotional health and ability to learn, we advocated for more resources to create safer and more welcoming schools by advancing restorative justice practices and implementing parent- and student-led school climate oversight committees – two elements of the district’s approved LCAP. These are important steps forward for Santa Ana and its students, particularly low-income students of color, who have felt the disproportionate impact of unjust and unequally administered discipline policies. But the changes would not have happened through listening sessions alone. The challenge in Santa Ana and in districts around the state is to move to partnership and capacity building. Imagine what would be possible if even a small fraction of the 3,000 parents or 1,700 students who attended a listening session or answered a survey last year had the opportunity to participate in a training where they learned how to analyze achievement data or wrestle with the intricacies of local funding dynamics. Imagine the possibilities if members of School Site Councils and English Learner Advisory Committees debated priorities and practices and, ultimately, created a shared vision that was then integrated into a district plan. Parents and students are ready to step into this space. Parents like Guadalupe Valdez, a leader with Orange County Congregations Community Organization, who attended the district-level input sessions in Santa Ana and then, with her principal, organized a deeper conversation in her school community. That’s the potential of the LCFF – developing parent and student leaders, engaging in deeper conversations and creating a shared vision for schools. But that’s not the reality – yet. Most parents and students didn’t have Guadalupe’s experience. Even with strong outreach, they were invited to attend one-time listening sessions, without the follow-up of an ongoing collaborative process that built capacity and allowed for real ownership and accountability. The State Board of Education is reviewing revised regulations and a reworked LCAP template that go a long way toward creating the foundation for equity and shared decision making in every district. Although the board can’t legislate a change in culture, it can and should create clear baseline standards. We’ve seen many critical improvements to the regulations, including much-improved language around the need to engage students in the LCFF/LCAP process and the requirement that districts demonstrate that supplemental and concentration funds are principally directed toward strategies that are effective at meeting district and statewide goals for low-income students, English learners, or foster youth. These changes are critical and should be approved. We believe the State Board of Education is within its purview to go further – to provide more clarity on the role of parents and site councils and to take additional steps to improve transparency. We look forward to working with partners and the State Board on refinements to the regulations and on the LCAP evaluation rubrics and will continue to explore ways in which we can learn and improve as we move forward with this historic reform. Of course, state regulations are necessary, but they’re not sufficient to result in a sea change in our schools and districts. For that, we need thousands of students and parents like Guadalupe to continue to step in – to learn, to lead, to advocate. And we need principals, superintendents and school board members to embrace the opportunity to truly partner to create a vision for our schools and students rooted in equity and shared decision making. 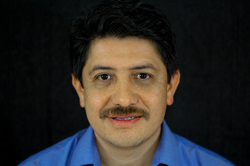 Miguel Hernandez is a parent, former teacher and the executive director of Orange County Congregation Community Organization, an affiliate of PICO California. culmination to the overall process of us all getting something done.